The newest member of GB Boxing’s women’s Podium Squad, Natasha Gale, has one eye on Rio as she looks to take-on teammate, Savannah Marshall, in the women’s middleweight final of the GB Boxing Championship this Thursday at the English Institute of Sport in Sheffield. The 27-year old from Leeds has been boxing for less than three years and only joined the GB Boxing squad in April 2015 after a series of assessments. She was initially regarded as prospect for the 2020 Olympics in Tokyo, but Natasha’s rapid progress in recent months has led her to re-evaluate the timescale on her career aspirations. “I just can’t believe the progress I have made since I came onto the squad, particularly since I went full-time in September,” said Natasha, who boxes out of Jubilee ABC in Sheffield. “At first I could not see it and thought the coaches were just being nice when they said I was doing well in training but then I watched back some tapes of my sparring then and now and saw for myself the difference that has taken place. “My confidence has grown so much. Before I used to have to think about things when I was in the ring but now I find I am just doing them naturally. Improvements in the gym have been matched by performances in international competitions. The highlight came in September of this year when Natasha defeated China’s 2014 World Championship silver medallist, Li Qian, in the final of The President’s Cup in Turkey in only her 16th career bout. The victory saw her gain promotion from the Podium Potential group to the Podium Squad and full-time training in Sheffield alongside reigning Olympic Champion, Nicola Adams and 2015 World Championship silver medallists, Lisa Whiteside and Sandy Ryan. The group of elite women also includes the women she boxes on Thursday night, 2012 World Champion and 2014 Commonwealth Games gold medallist, Savannah Marshall, who is her sole rival for the Team GB middleweight berth in Rio. The pair spar together frequently at GB Boxing’s training facility at the English Institute of Sport in Sheffield, but it will be the first time they have met competitively. Savannah comes into the contest in good form after recently winning a gold medal at the Queen’s Cup in Germany in October. “Savannah is a great boxer with a lot more experience than me,” conceded Natasha. 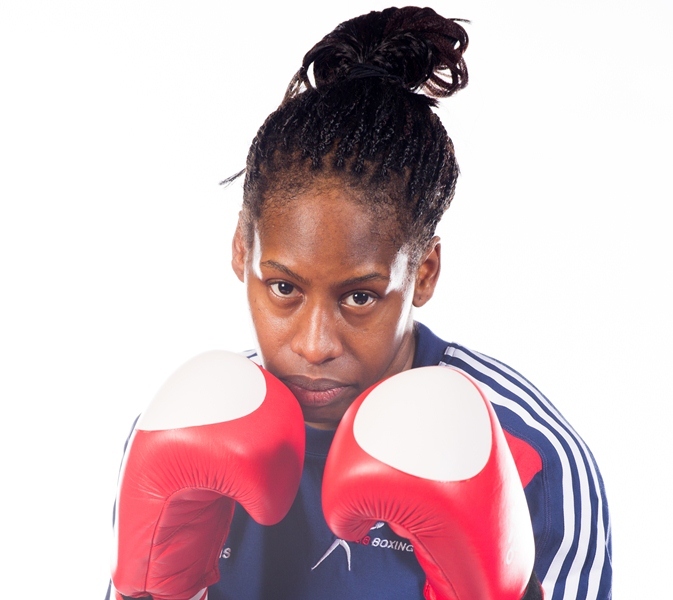 “When I first started coming to the GB gym on assessments, the idea that I might box her in a meaningful bout seemed a long-way off, so to even be in this position is a fantastic achievement. “For me it’s all about gaining more experience and the chance to compete against a world class boxer. The GB Boxing Championships will be held at the English Institute of Sport in Sheffield on Thursday 26 November 2015 (Doors open at 6.00pm, boxing begins at 6.30pm).